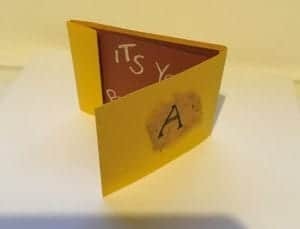 Looking for a fun alternative to birthday cards? This workshop will help you to stand out from the crowd. 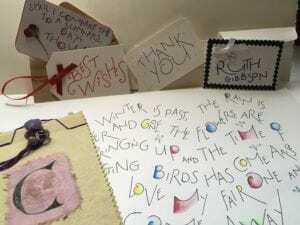 You will use Roman Capital lettering to produce a short verse and make a simple stitched book that provides a great twist on greetings cards. This short course is suitable for beginners. The book is simple to produce and the skills you learn from this workshop will help you to create them at home. If you attended the Christmas Card workshop on December 02, 2017, Sheila will be demonstrating the same, T Roman Capital lettering and this course is a great add-on.